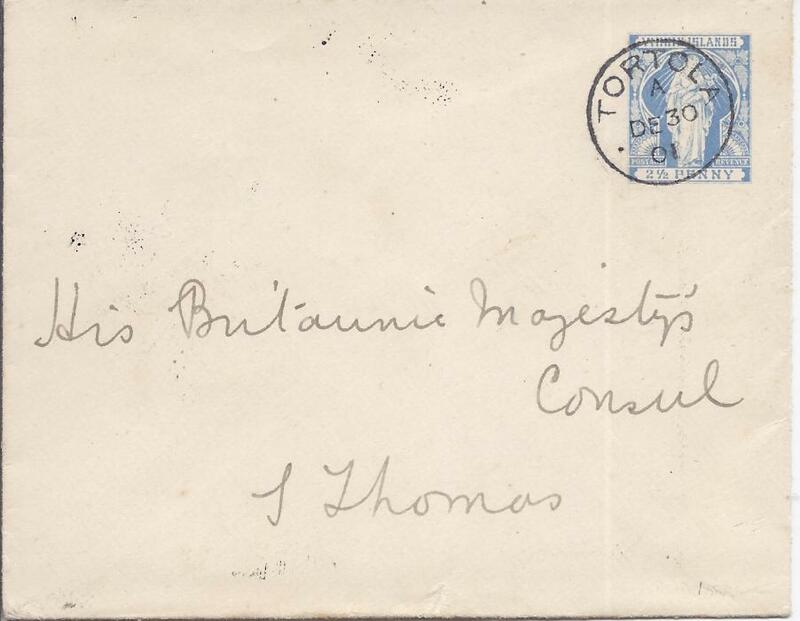 1896 2c postal stationery envelope to Germany cancelled 'ST THOMAS' cds, French maritime cds to left; generally good and clean. 1901 2 1/2d. 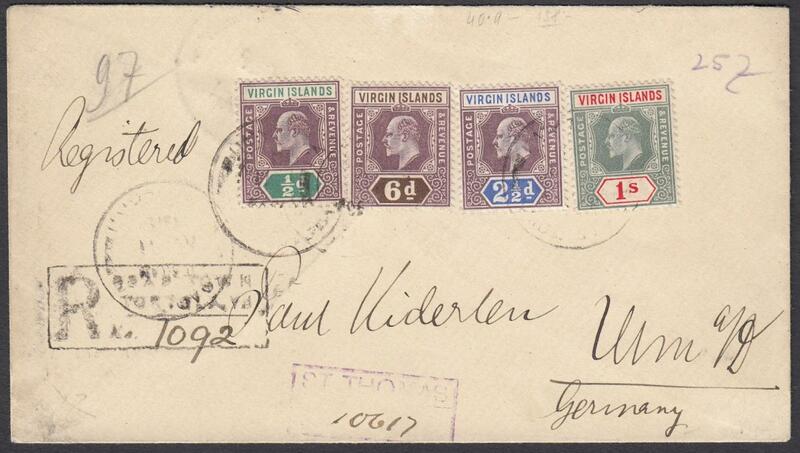 'Virgin' stationery envelope to St Thomas, Danish West Indies with Tortola cds, arrival backstamp, without backstamp. 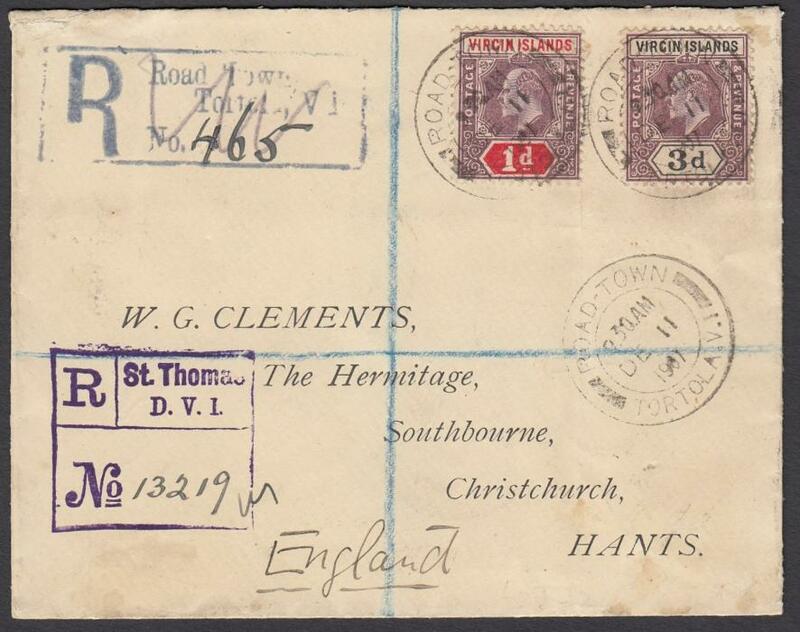 1907 registered cover to Christchurch, Hants, England, franked KEVII 1d and 3d tied by 'Road Town/Tortola' date stamp, local registration handstamp and violet 'St Thomas/D.W.I.' transit registration handstamp; reverse with St Thomas transit and London transit cds. 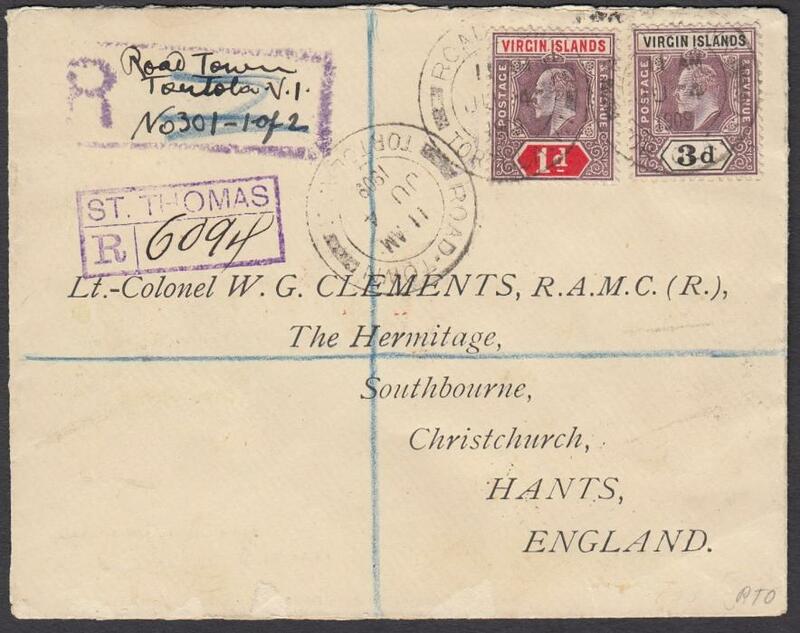 1909 registered cover to Christchurch, Hants, England, franked KEVII 1d & 3d tied by 'Road Town/Tortola' date stamp, local registration handstamp filled in manuscript and violet 'St Thomas' transit registration handstamp; reverse with St Thomas and London transits and arrival cds. 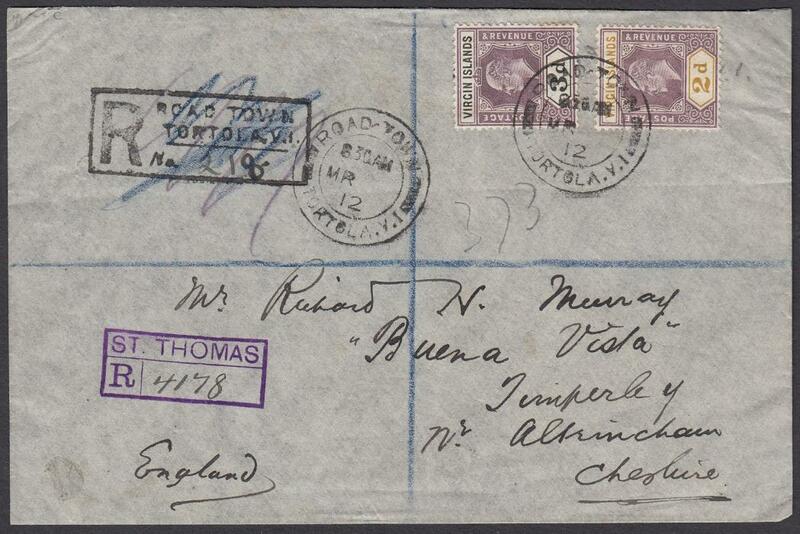 1912 registered cover to Altringham, franked KEVII 2d & 3d tied by 'Road Town/Tortola' date stamp, local registration handstamp and violet 'St Thomas' transit registration handstamp; reverse with St Thomas and London transits. 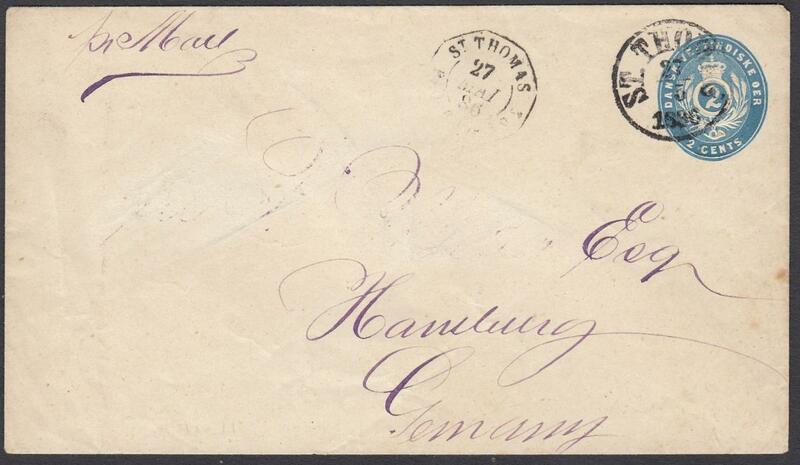 1913 registered cover to Ulm, Germany, franked four KEVII values tied by 'Road Town/Tortola' date stamp, local registration handstamp and violet 'St Thomas' transit registration handstamp; reverse with St Thomas transit and arrival cds.